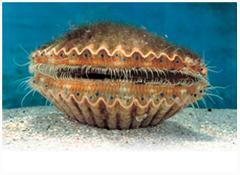 Head out to the shallow grass beds in the Gulf to hunt for your booty….the delicious SCALLOP! With our 180 degree, Seaview masks provided….the Ocean comes to life and dances around you with a line of vision unsurpassed with regular mask and snorkel use. Even the inexperienced snorkeler can enjoy the adventure more with one of these innovative masks! With the direction of our Captain and guide, the scallops may not jump in your bag, but the harvest will go as smoothly as possible. 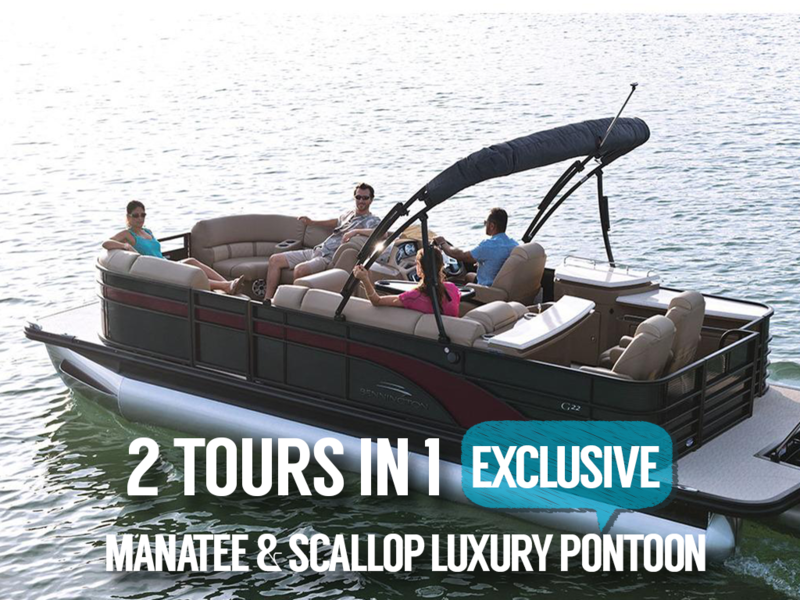 Having a phenomenal Captain can make all the difference, and this VIP tour will be staffed by ONLY THE BEST! Your guides will assist in the harvesting of your catch, identifying wildlife all around while keeping your safety in mind at all times. They will go above and beyond what is expected serving snacks and beverages including beer and wine! 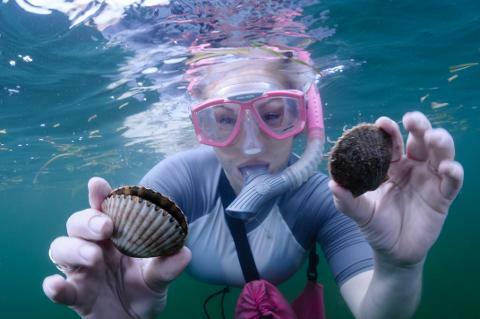 We can direct you to a local cleaner to get your scallops done while we do our freshwater snorkel for a very reasonable price. This makes it as convenient for our guests as possible! 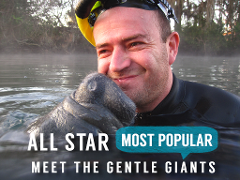 But…you can’t visit Crystal River without a swim with our famous manatees! 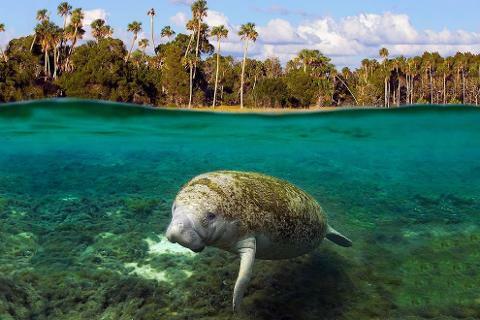 dip in the freshwater springs. 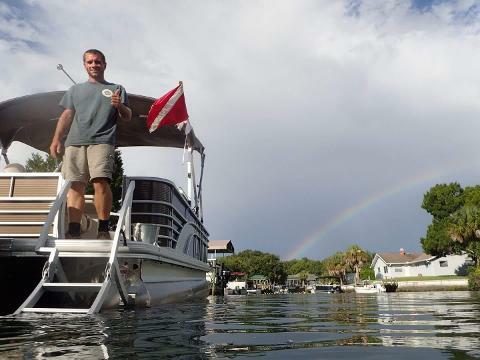 The world famous Three Sisters may not have manatee in the summer time, but a blue water snorkel at this sought after location is simply breath taking! We provide you with everything you need….just bring a swimsuit, sunscreen, a smile and we will gladly take care of the rest! 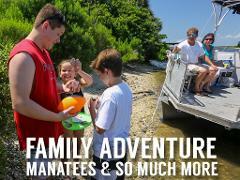 Relax and enjoy this taste of the Nature Coast the way that only River Ventures and Safaris can serve it. 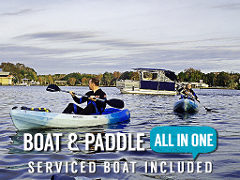 Let our experience and passion guide you out to the Gulf and back to springs for the time of your life!